One of the most iconic moments in basketball sneaker history took place in Indianapolis, Indiana on March 31, 1997. Arizona freshman guard Mike Bibby took the court for the NCAA national title game in these crazy blue sneakers no one had ever seen, rocking the Nike Air Foamposite One even before Penny Hardaway. 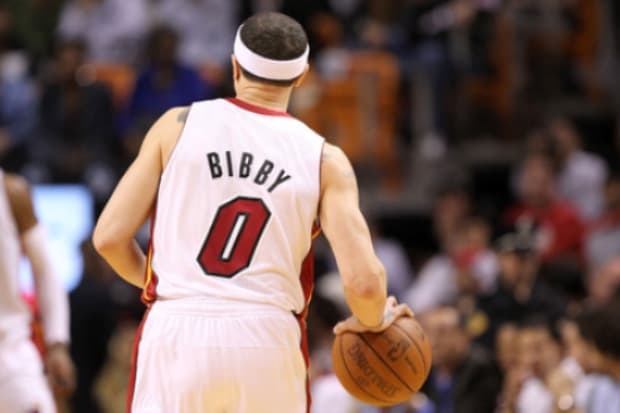 Bibby left school after his sophomore year, declaring for the NBA Draft, signing with Jordan Brand and – oh yeah, the Vancouver Grizzlies. Since then he has been rocking some official kicks with an arsenal of PEs that might even put Marcus Jordan to shame. On the occasion of his 33rd birthday, take a look at our gallery of Mike Bibby’s best sneaker moments to see what we're talking about.